Things change quickly and often in Office 365 as Microsoft makes updates and enhancements to improve your experience. Here are some of the latest updates made in O365 we want to share with you. Finally! 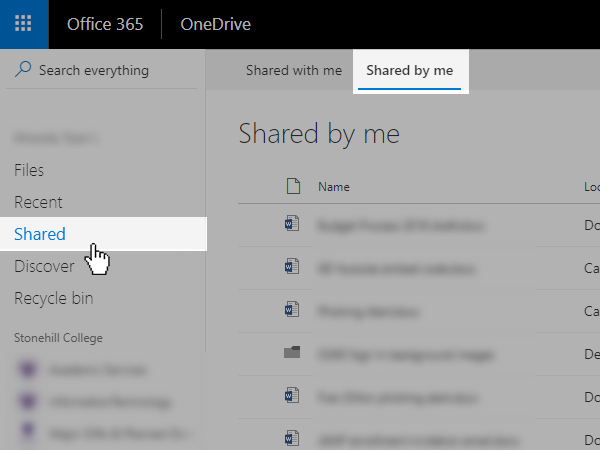 OneDrive now allows you to click the Shared menu item on the left side of your OneDrive and see your shared files divided into two tabs: files that others have shared to you, and now files you have shared to others. Furthermore, you can now see when files were shared, and by whom. 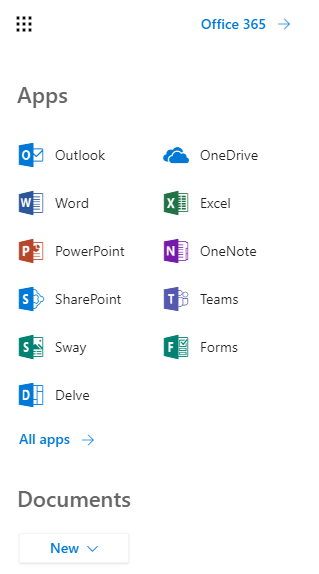 The “waffle” (or app-picker) at the top-left of the O365 web environment has been updated to show the full name of the available web apps, color-coded and all. You can also now view recent cloud documents, or even create new ones all in this menu. Many people have wondered how to switch from using Office web apps in your browser to editing in the full desktop versions of those apps. The simplest way? Simply click the Edit in Word/Excel/Powerpoint button at the top of the document to launch the appropriate full desktop application. If you have Office 2016 or later, remember that you can also sign into these desktop apps to open documents from cloud locations directly.